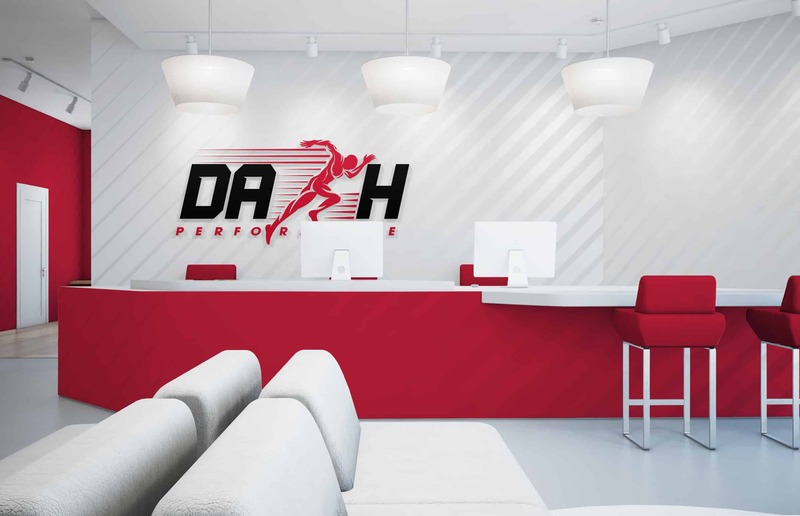 Dash Performance is a gym specialize in building student-athletes by shaping them to unleash their potential greatness and performance. With over 70,000 square feet facility and over 60 indoor track and basketball court including full access to weight equipment. 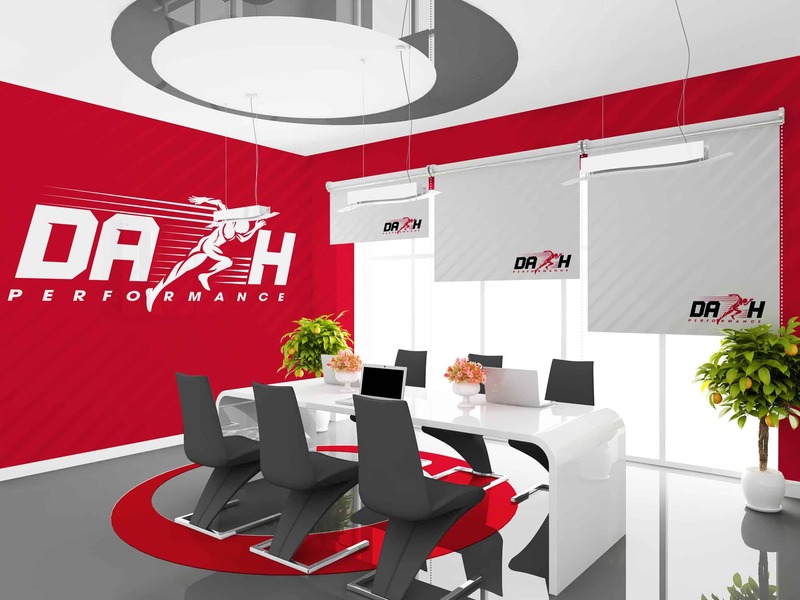 Dash Performance is truly a state of the art fitness The vision for Dash Performance is to expand the brand across the country. Spread its influence to coaches and students to be better themselves. To perform greater. To build stronger. To run faster. To jump higher. 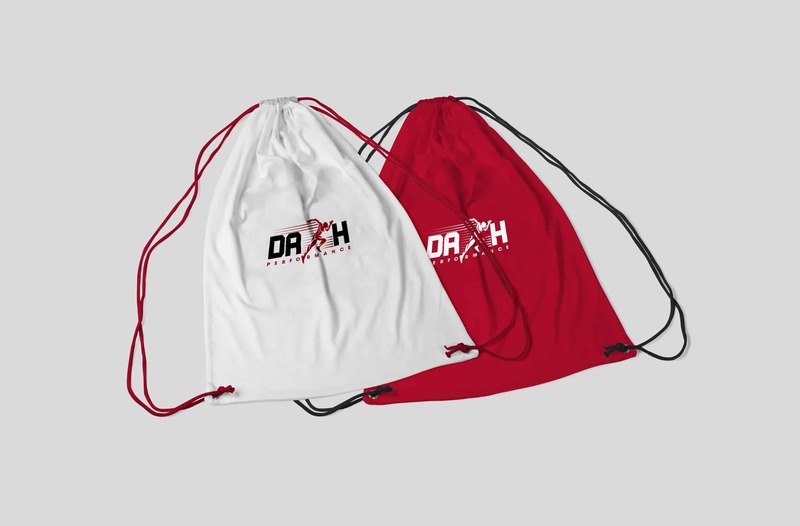 Dash Performance has all the tools to make dreams become reality. 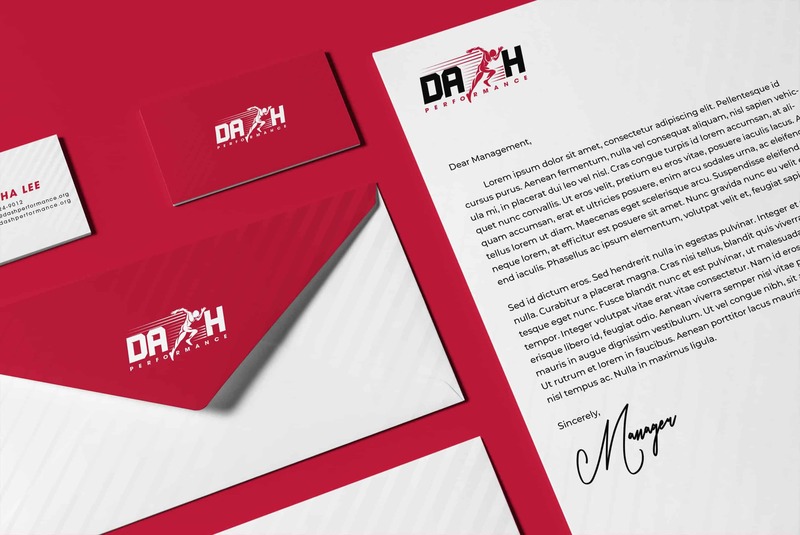 With that, the goal is to form a new brand for Dash Performance to benefit its business and elevate its standard. The design must communicate professionally and capture its audience. 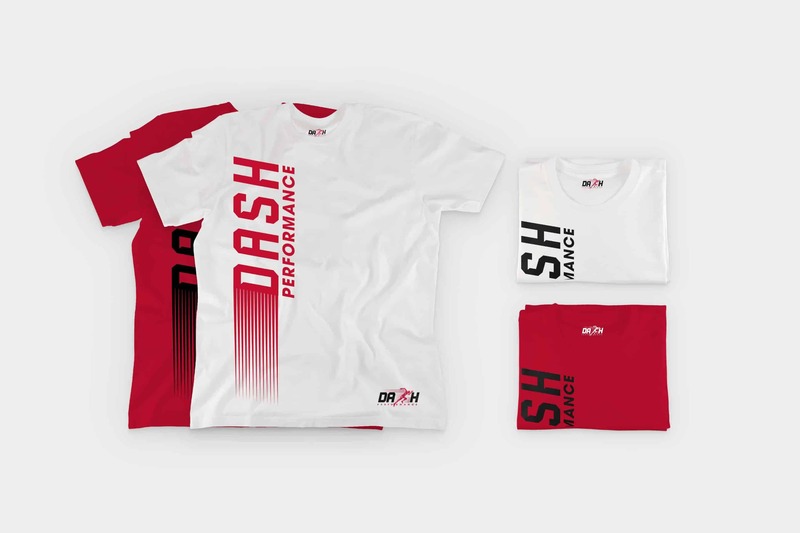 Dash Performance’s new brand provides more options to utilize the design and marketing. The figures show that it be used horizontally. The way of the design constructed allows the audience to feel as if the man is launching forward, the idea is to capture the momentum during the sprinting. Supported by the imaginary line of the man’s both feet touching the ground as if he pushing against a force of friction. This gives the design an intense feeling and natural looking rather than scripted. Following by soft curves of the man’s shadow enhance his look as if he dashing through the force of the wind. 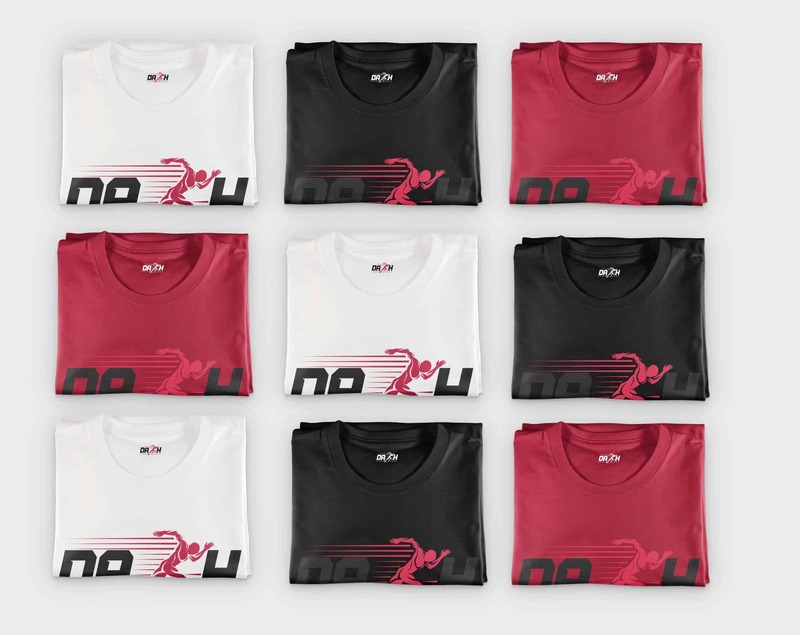 Complement with the Typography design of Dash Performance. The italic typography in Dash allows to have its own stand-alone icon. The stripes give the name a dynamic look to balance with the sprinting man. Using Adobe Illustrator CC to create a concept from the sketch. Then we bring it in photoshop for mockups and visual designs. After that, we created a brand book through Adobe Indesign to measure the grids and the placement fo the contents. The loves the visual we present. 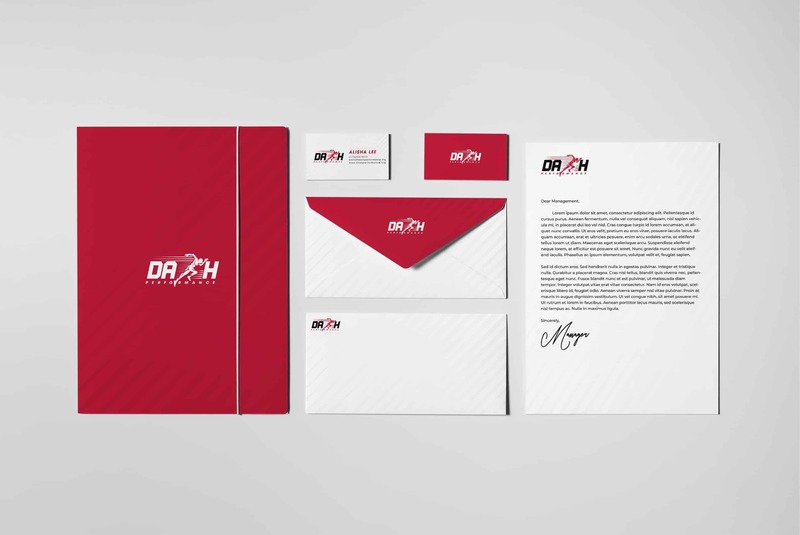 It helps them to visualize what’s their brand can offer in the fitness industry. The contents we provide helps the client to understand the usage of their brand. Overall, the design gets good critics. I’m an Art Director for 5 years and the founder of Synk. The name for Synk is generated from ‘sync’ and ‘ink’. Ink represents graphic designs. Sketching ideas down to papers and coming up with concepts. Sync represents digital and connecting with the audiences through online platforms. Synk provides innovative ideas from logo designs to art direction as well as many other designs such as brochures, booklets, posters, etc. Let Synk help build your brand to stand out from your competitors. With Synk… Imagine greater, connect faster. Thank you, Jenna, for the support!